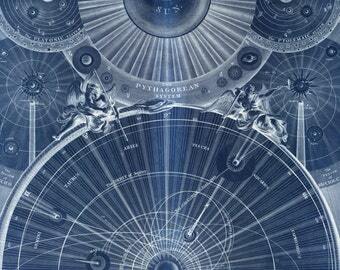 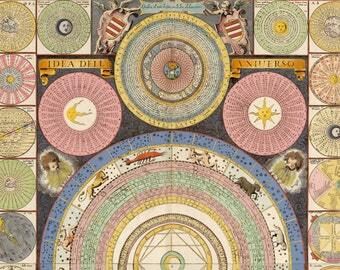 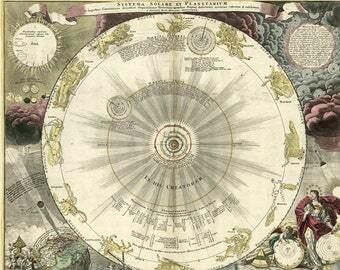 Complete your decor with Thomas Wright's celestial map of the Universe from 1742. 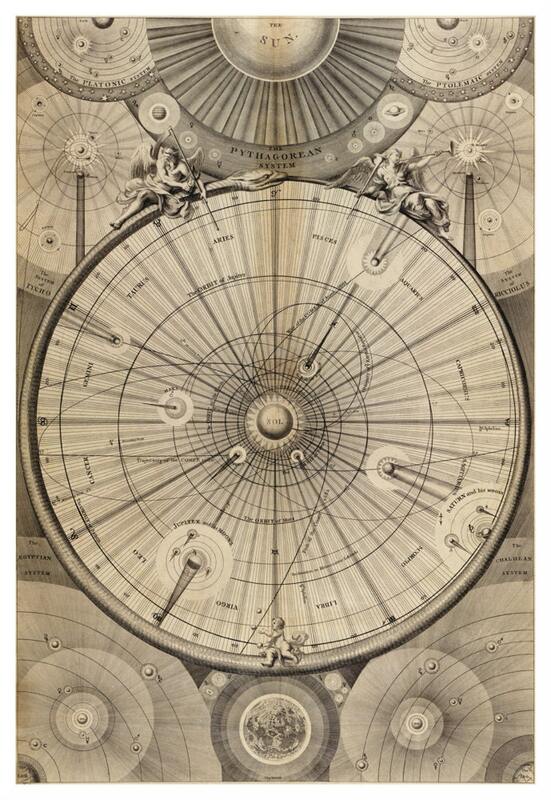 Thomas Wright (1711 – 1786), an English astronomer and mathematician, was one of many to come to the realization that Earth and the human race are insignificant and transitory parts of a vast universe. 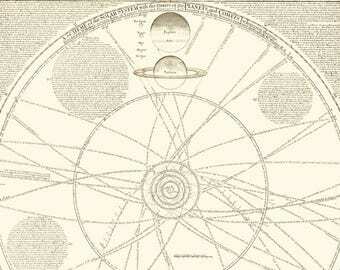 This amazingly detailed engraving shows the known layout of the "heliocentric" universe surrounded by examples of previous astronomical systems.